Harness the Power of Rare Antrodia Mushrooms! If you've never heard of antrodia mushrooms, you're not alone. Though this fungus doesn't top the list of the most popular superfoods, it is one of the most impressive and effective. 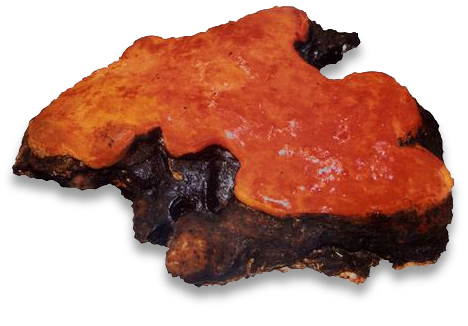 The flat, ruffled orange mushrooms grow far away on high-altitude Cinnamomum Kanehirai trees in Taiwan, where locals have treasured their incredible health-enhancing effects for hundreds of years. The catch? Antrodia typically only grows in nature on dying Cinnamomum Kanehirai trees, and thousands of Taiwan's old-growth Cinnamomum Kanehirai trees were cut down to foster antrodia growth as news about the mushroom's value spread and demand for antrodia increased. Thankfully, scientists and naturopaths have found a way to culture mature, bioactive antrodia on organic oats--without destroying any more of Taiwan's Cinnamomum Kanehirai trees. 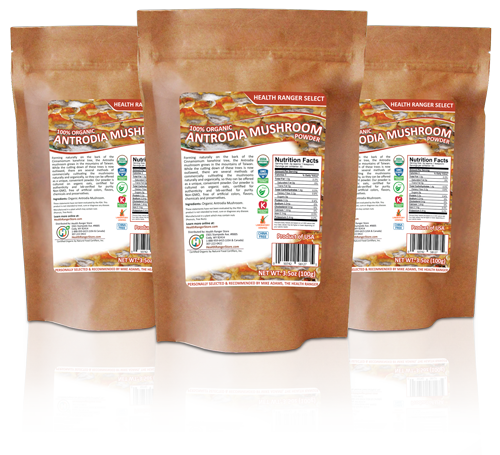 Today you can experience the benefits of antrodia mushrooms firsthand, without trekking to eastern Asia to find them. 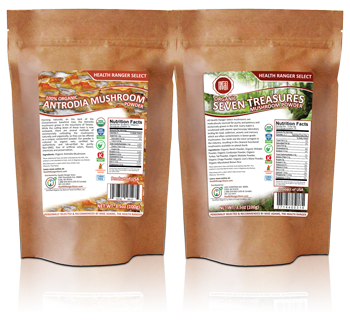 Health Ranger Select's 100% Organic Antrodia Mushroom Powder offers unmatched purity and quality. Antrodia mushrooms, technically called antrodia cinnamomea, have been used to help support liver and heart health, to help boost the immune system, and to help increase natural energy levels. Antrodia mushrooms boast high levels of naturally-occurring triterpenoid compounds and polysaccharides. Triterpenoids offer many health benefits which are still being studied--but in general, they're known protective compounds that encourage healing throughout the body and work as antioxidants to rejuvenate the body's systems and scavenge for free radicals. Polysaccharides are uniquely-arranged molecular strands of simple sugars that provide the body with necessary energy and play a dramatic role in the way the body processes nutrition. In Taiwan, antrodia was often used as a hangover remedy, to speed healing from colds and other ailments, and even to remedy a high-stress lifestyle. It has been known to help boost both energy levels and moods, and its molecular constituents are currently being studied for potentially life-changing disease-fighting properties. The antrodia mushroom powder we carry in the Health Ranger Store was cultured on organically-grown oats, so it doesn't harm Taiwan's priceless Cinnamomum Kanehirai trees. These cultured mushrooms retain their bioactive properties even when dried and powdered. Our 100% organic antrodia powder is completely pure; no dessicants, fillers, preservatives, dyes or colors have been added. 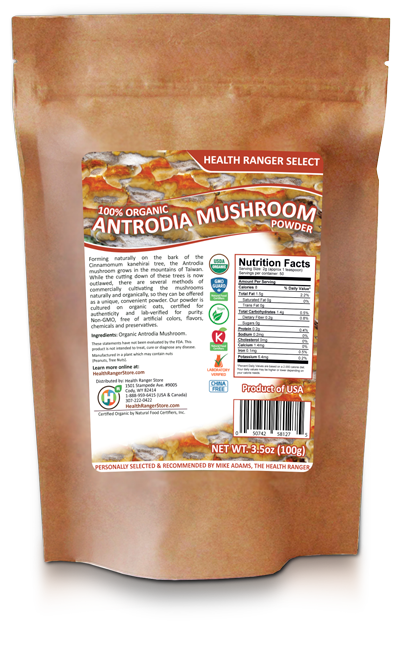 Health Ranger Store's antrodia powder contains just unadulterated, non-GMO antrodia mushroom powder that has been lab verified for purity. Support your liver and heart health naturally and safely. Provide your body with the triterpenoid compounds to help it run smoothly. Streamline your body's nutritional processing with efficient, natural polysaccharides. Enjoy a natural energy boost, even on stressful days when you aren't able to get the best nutrition or make it to the gym. Health Ranger Select 100% Organic Antrodia Mushroom Powder is also gluten-free, certified Kosher, and heavy metals verified, so it's a supplement you can feel good about taking. You'll enjoy an array of health benefits, even when you don't have time to treat your body as well as you should--and rest in the knowledge that, like all Health Ranger Store supplements and superfoods, it's organic, pure, and lab verified for quality and purity. Enjoy 5% back when you sign up for Health Ranger Store's rewards program today! Yes, I want Taiwan's best-kept secret!